I could tell I was in for a special treat from the moment I stepped into this incredibly designed condo. Care and attention to detail shines bright in every square inch. 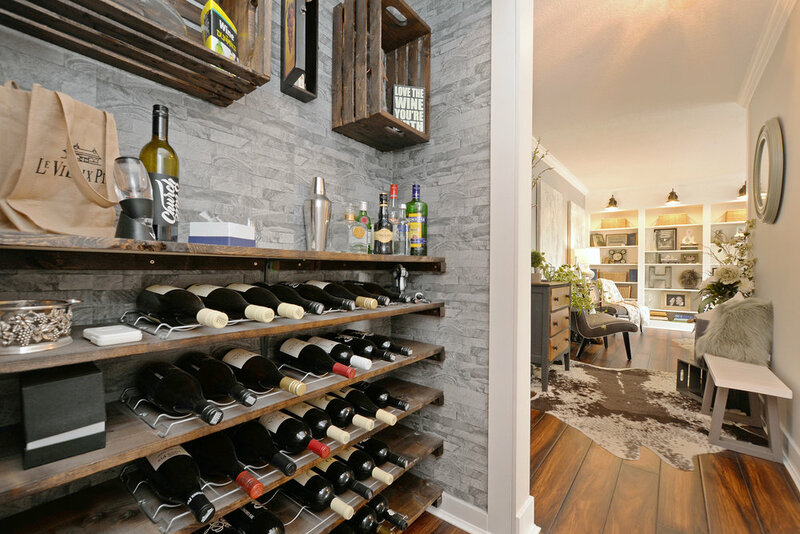 Incredible built-ins at every turn -see the creative built-in wine bar AND coffee station!!!! 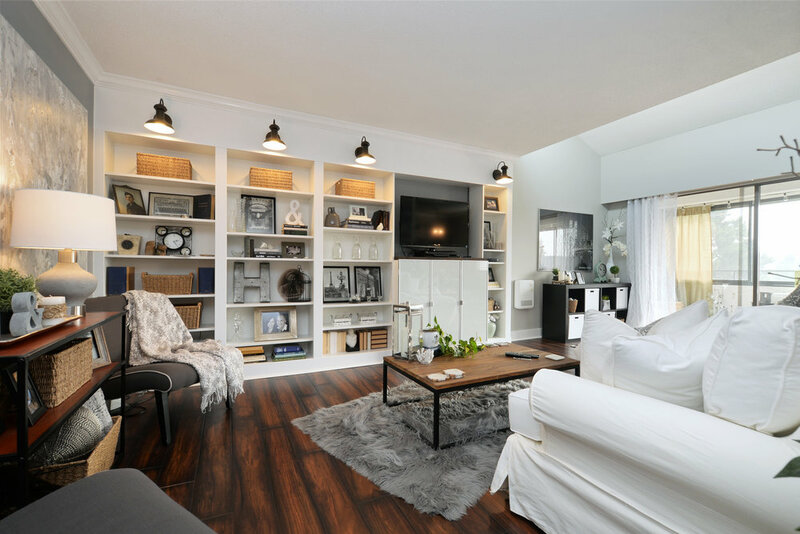 A hidden gem, this Selkirk condo is completely transformed into a vibrant sanctuary. Completely renovated with the perfect balance of rustic elegance and classic luxury. On the top floor of the building, this suite is so sunny and bright thanks to all the skylights in the vaulted living room ceiling and the refined color palette throughout. Easy to view. Call 250-940-4765 for an appointment. Rarely can you say a place is absolutely perfect but this unit truly is perfect! You'll feel like you're living in an Interior Design magazine. Be the host with the most!! 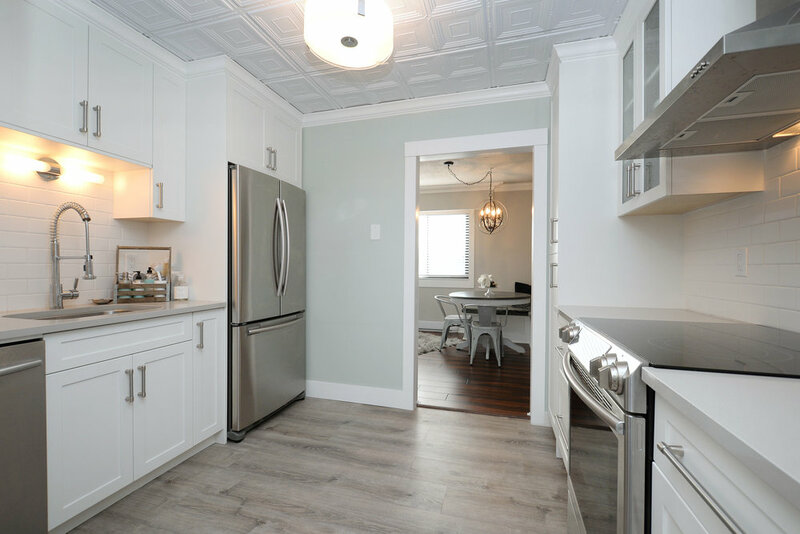 The brand new kitchen is equipped with easy close cabinets, a sleek coffee bar with... A BEVERAGE FRIDGE! Beside the main living area is the most incredible custom built-in wine bar! It's space saving and ooooh so stylish and you'll wonder how you ever got along without one. Through the kitchen is a dreamy back patio just waiting to become your boho-chic outdoor living space. It’s the ideal spot for sipping a glass of that after-dinner brandy with your favorite company! Let's just take a moment to truly appreciate the utter lifestyle that's being offered in this condo. I haven't seen this level of finish in a condo-newly built or otherwise- in a long time and certainly not at this price point. The master bedroom is nothing short of a heaven with glass barn doors backlit by a beautiful light fixture, an electric fireplace, a private and enclosed patio, a half bath en-suite AND a MASSIVE -could be its own room sized- walk-in closet with built in drawers and fully wallpapered!!! From fully wallpapered laundry rooms with side-by-side washer and dryer to the oversized 2nd bedroom the details of this condo are endless! This unit is in a very well run adult oriented building located in Kinsmen Park, one of Esquimalt’s most attractive residential areas and walking distance to the Vic West Village filled with shops, the iconic Spiral Cafe, a local barber shop and bakery. You'll find yourself steps away from the Galloping Goose trail, Banfield Park, Selkirk Waterway, and close to restaurants, and grocery stores. You're also close enough walk or bike into town but tucked into the serene peacefulness of the Gorge Waterway . There’s even a public boat launch nearby if you really want to travel in style!! This is an incredible opportunity to live the Vic West lifestyle in spacious luxury for an affordable price!